In her studio in New York's Hudson River Valley, our milliner Carole takes inspiration from styles of the '20s to design this chic midnight blue cloche hat, the Jill, handcrafted with 100% wool felt. Each hat is finished with a hand-trimmed poly satin ribbon and oversized bow. This unique handmade hat is styled and crafted with such care and precision as its gorgeous color and simply crafted bow make for a timeless aesthetic. Upscale and complete any outfit with our stylish and comfortable one of a kind hat. The Jill midnight blue cloche has a 22 inch inner circumference and a 2 inch wide brim. 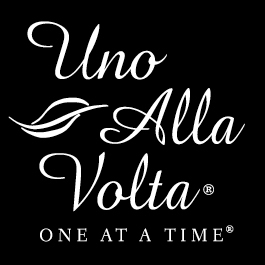 Handcrafted from the heart and hands of the artisan for Uno Alla Volta.